The residents of central Queensland have no reason to thank tropical cyclone Marcia, but for me there was an unexpected bonus. Being on the southernmost edge of the cyclone, northern NSW was subjected to five days of almost incessant heavy drizzle. 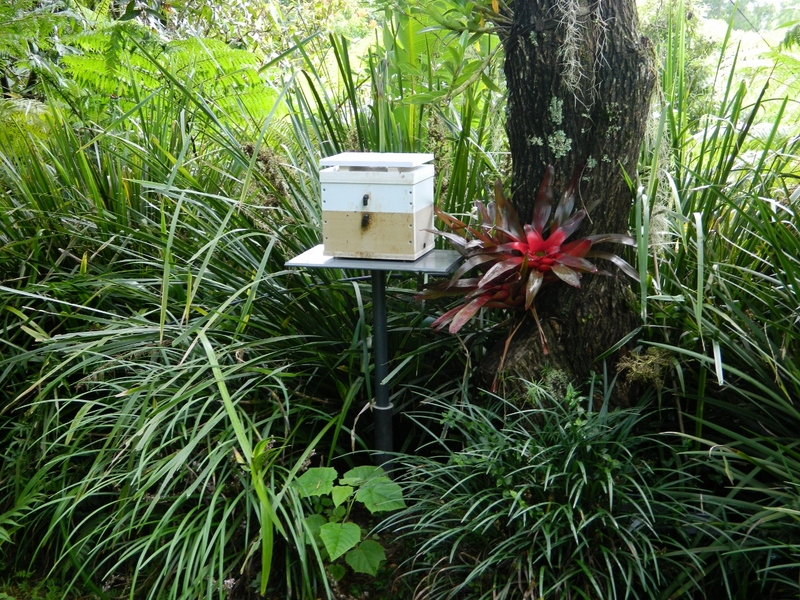 With the skies overcast and temperatures slightly lower, it was finally the perfect time to ship my hive of Native Stingless Bees. I awoke several times during the night worrying that my “entombed warriors” might have overheated on the trip down from Brisbane. 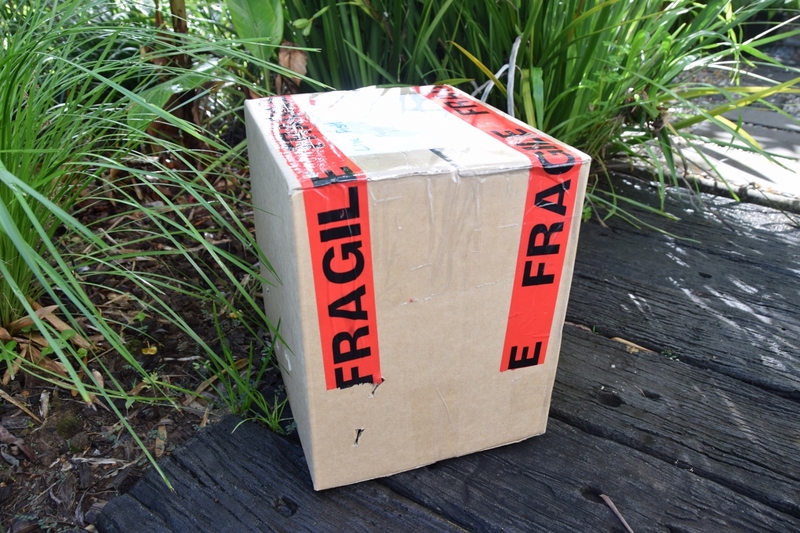 I couldn’t bear to wait for the courier, so I rushed into Coffs Harbour first thing this morning to collect them. 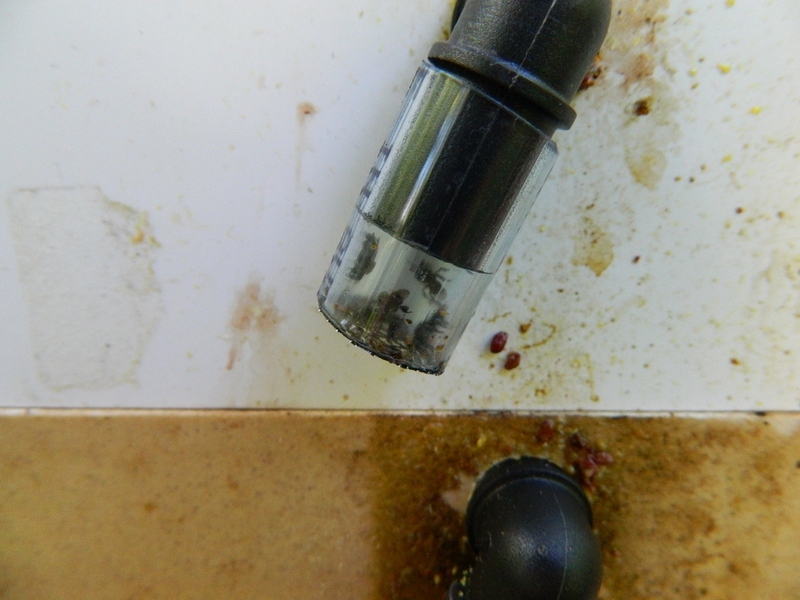 Being a tiny bee, their hive is quite small, this one consisting of two layers with two separate entrances, and a flyover roof which can be raised for the addition of a small honey pot (more on that later). Over the entrances, the breeder placed a piece of clear plastic tubing with very fine mesh glued to the end to allow air circulation – a clever idea! In the next photo, you can see the bees trying to get out. The minute I removed the plastic tubes, out they came as you can see from this video. 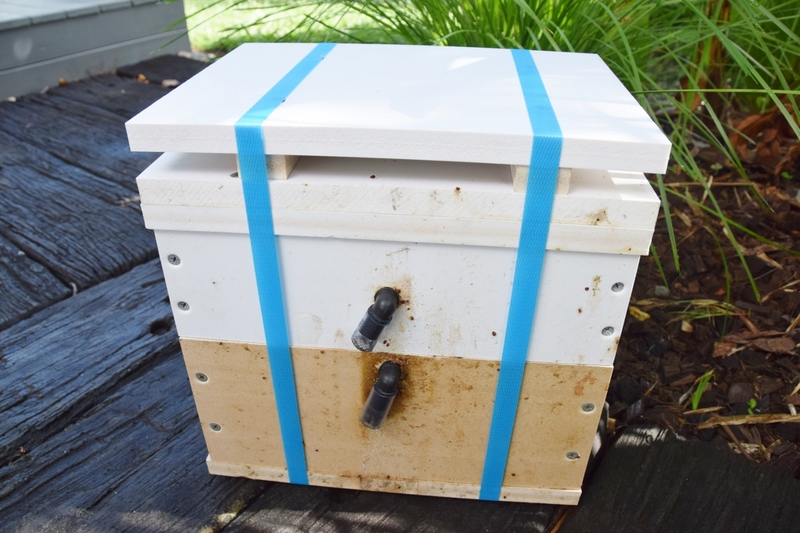 With the hive placed on the stand I constructed months ago, I’ll be able to watch their comings and goings. And I’ll have to be a lot more careful about absent-mindedly swatting little black insects buzzing around my face from now on! Finally, your patience has been rewarded! I hope the little darlings settle down well and get to their work of fertilising everything ..?